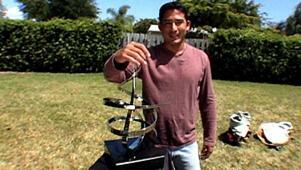 Gary Traczyk makes a stainless steel kinetic sculpture in Miami, Fla. 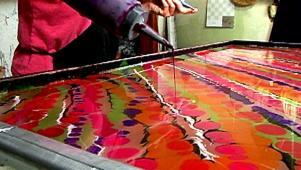 In Tennessee, Teresa Hays creates a marbled silk scarf. 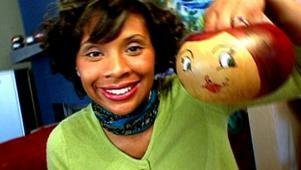 Chie Turk from Santa Monica, Calif., constructs both a beaded gourd purse and a "doggie bag backpack".